The percentage of pupils receiving one or more Higher awards rises to 36%, a six-year high. Dundee City schools have achieved their best results at Higher in six years. The percentage of pupils achieving one or more awards at Higher rose to 36% from 31%. The number achieving three or more and five or more Higher awards also rose. Dundee City Council education convener Councillor Liz Fordyce said: "I am delighted that the efforts of S5 pupils in Higher exams this May have achieved the best results in the city over the last six years. This is down to the hard work of the young people and their teachers, and the support that is given by families". She added: "Many pupils across Dundee have achieved positive results and I would like to take this opportunity to congratulate them. Improving attainment is a key priority and we are determined to keep up efforts to take this forward in the years ahead." Schools within the Perth and Kinross Council area also achieved substantial success. 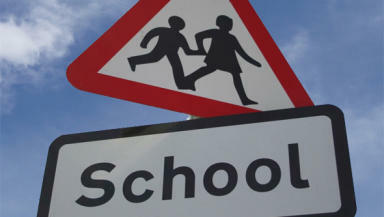 A Perth and Kinross Council spokesperson said: "The past year has shown a continued increase in attainment by pupils at Council schools, with performance significantly raised across the board." "Exam results have shown improvement, particularly for S4 and S6 pupils who achieved their best results for five years in Standard Grade and Higher exams. This placed Perth and Kinross at or above the national average across key areas of performance, and on an equal or better footing to its comparator councils across Scotland." Elsewhere in the region, Monifieth High School substantially increased the attainment levels for schools in the Angus area. In particular, they achieved more than double the average for the number of pupils attaining five or more awards at Higher, with 15% compared to the average of 7%. The average attainment for pupils in the S4 year group the previous year dropped marginally in the area, by 2-3% for those achieving one, three or five awards. An Angus Council spokesman noted this slight decrease in S5 Higher attainment levels, but also pointed out that some schools awarded significantly more foundation and credit awards at Standard Grade, and S6 performance was "very impressive, with performance against six out of eight attainment measures being the strongest of the last five years". The correlation between the number of pupils receiving free school meals and Higher attainment is clear in the Angus area. Monifieth, the top achieving school, had just 3.9% of pupils registered for free meals, whereas at the bottom three schools those figures stood at 13.6%, 26.6% and 13.7% respectively.